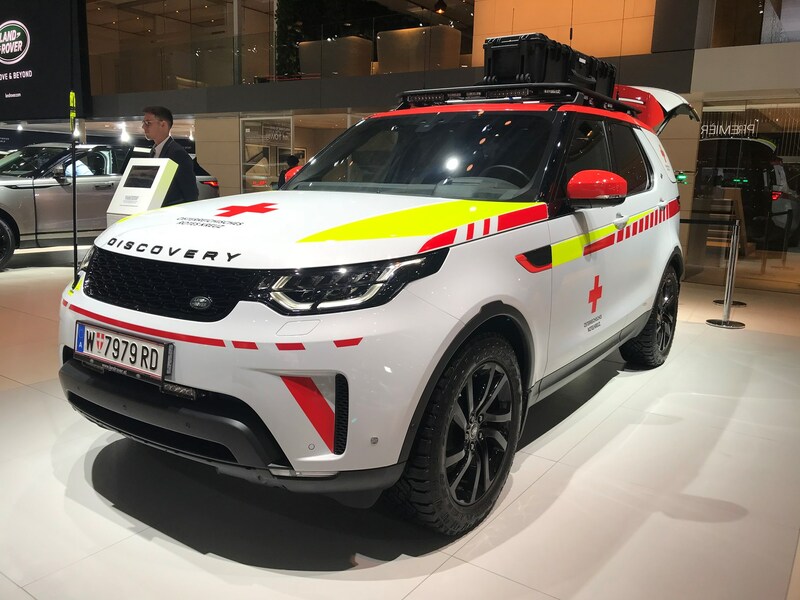 Land Rover Special Vehicle Operations (SVO) and the Austrian Red Cross have joined forces to create this fully-kitted Discovery, ready for Alpine rescues. It comes with an eight-rotor drone with a long-range thermal imaging camera capable of spotting a person in distress from 400m+ and can identify a vehicle almost a kilometre away. The 18-month collaboration has created a specially-designed and engineered Discovery where the vehicle’s operator can also objects found using the drone. This is done by tapping the item on the slide-out main computer touchscreens’ video feed to provide hyper-accurate coordinates. Features developed for the car include 360-degree lighting and an integrated carbonfibre loadspace Command Centre, enabling Red Cross operatives to co-ordinate emergency responses as soon as they reach the scene of an emergency, day or night. Power for the Land Rover Discovery Project Hero comes from a 255bhp 3.0-litre TD6, which Land Rover says will allow this car to help emergency crews to reach the remotest of disaster zones quickly. First and foremost, it does this with its ability to send up a drone from the roof, enabling rescuers to get a live bird’s eye-view of the area using built-in cameras beaming video to a tablet computer to asses landslides, earthquakes, floods and avalanches. They can then react quicker and smarter, also being able to take into account recent major topographical changes that maps simply can’t show. Land Rover claims another world-first in that the drone is able to land back on the Discovery while it’s in motion. It does this using self-centring and magnetic retention technology, apparently, which sounds like a very grand and high-tech way to say it’s got a magnet on the roof. A roof-mounted drone? Is that it? The vehicle will be based in the Austrian town of Erzberg in the Eisnerz mining area as well as in Vienna for one year from June 2017. As well as developing new techniques in training scenarios, it will be deployed to ‘live’ where the Red Cross is providing emergency support. This isn’t the first time we’ve seen the use of drones with emergency vehicles, however. The Nissan Navara EnGuard concept was showing at the 2016 IAA Commercial Vehicle Show and reported upon by sister publication Parkers, while the Mercedes-Benz Vision Van concept also features similar technology.